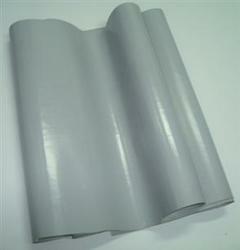 Our range of products include nylon tarpaulins. We hold specialization in manufacturing a superior quality range of Nylon Tarpaulins. Polyester fabric is used as the base while manufacturing these products. Manufactured from selected quality of fabrics, these tarpaulins are highly functional and provide complete protection to the stored goods. Our waterproof Nylon Tarpaulins can be availed in different sizes and grades. Looking for Nylon Tarpaulins ?